Holland & Barrett is Europe's leading retailer of Vitamins, Minerals and Herbal Supplements. Our stores are a familiar sight in almost every major city and town across the United Kingdom and Ireland, where we operate over 700 outlets. As a Holland & Barrett franchise partner, you will share the benefits of over 145 years of experience in the health supplement industry. We offer one of the most extensive staff-training programmes in the retail industry, an unparalleled range of natural health food products, as well as an intense commitment to quality goods at exceptional values. 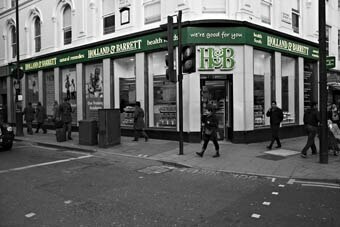 When it comes to franchise partners, Holland & Barrett is the natural choice.